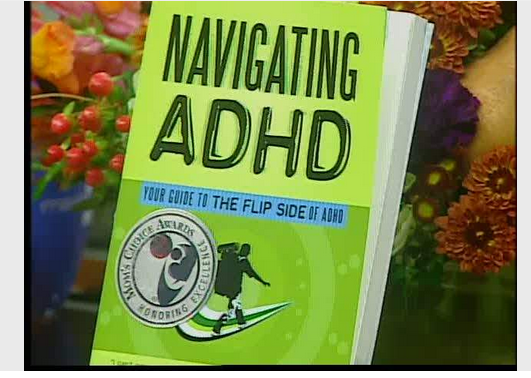 Navigating ADHD, Inc. is a solutions based approach to supporting families whose lives are affected by ADHD. Co-founders Tracey Bromley Goodwin, M.Ed. 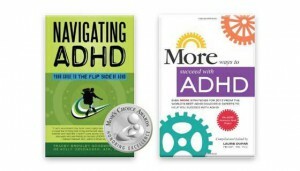 and Holly Oberacker, ATR, LMHC merged their unique expertise and ADHD focused experience to develop proven methods for managing the symptoms of ADHD/ADD. Their multi-sensory approach addresses the behavioral, organizational, and executive functioning needs of those affected by ADHD. Tracey and Holly believe in discovering concrete solutions to help individuals reach their fullest potential. Workshops and seminars for parents and educators, parent support groups and kids groups are all available at the Navigating ADHD support center. Tracey Bromley Goodwin, M.Ed. Educational Coach/Consultant and author, draws from eighteen years experience in the field of education. For the last ten, she has been an ADHD learning coach on Cape Cod. Through her practice — The Power Within, Educational Consulting and Coaching –Tracey helps clients develop the self awareness skills necessary to manage the symptoms of ADHD. Tracey is a popular speaker on child development, bullying and ADHD. Tracey was one of the first people in the United States to receive a Masters of Education in Curriculum and Instruction with a Specialty in Conflict Resolution from Lesley University. Holly Oberacker, MA, LMHC, ATR is an Art Therapist and author with more than thirteen years experience. She continually develops multi-sensory approaches to managing the emotional, behavioral and communication needs of children diagnosed with ADHD. Holly’s proactive and solution focused approach includes individual counseling, support groups and interactive workshops on the topics of ADHD, social skills, bullying, communication, and positive parenting. She holds a Masters of Art in Art Therapy from the University of Illinois at Chicago.